Yougov and The Economist just published a poll on political conspiracy theories that was designed to produce outrage and clicks on stories how stupid the other tribe is and how we rational people are above that. Secular Talk, a popular high-quality YouTube pundit, made two stories out of it: "50% Of Dems Think 'Russia Tampered With Vote Tallies' To Elect Trump" and "Nearly Half Of Trump Voters Believe Hillary Is Pimping Kids." In the poll Americans were asked: "Do you think the following statements are true or not true?". One of the conspiracies was: "54. Conspiracy Theories – Russia tampered with vote tallies in order to get Donald Trump elected President." The problem was that people could only chose between: "Definitely true", "Probably true", "Probably not true", and "Definitely not true". There was no option: "I do not know". "I do not know" would have been the rational answer. "Definitely no evidence" would be another fine option that was not available. Especially given the lack of audits of the votes and the undemocratic active resistance of some Republican politicians against audits "probably not true" is as wrong as "Probably true". As an aside, in a democracy there should be no doubt that votes are counted correctly, every citizen should be able to follow the trail from the filled in ballot the voter put into the ballot box to the final count and audits should actually count paper ballots by hand and naturally be free/automatic. The strangest people are those that said "Definitely true" or "Definitely not true". The article made the story more juicy by combining the 17% of Democrats answering "Definitely true" with the 35% answering "Probably true" to "50% of Dems". Conspiracies do exist, if there was more than one person involved in making this poll, my personal conspiracy would be that the question was crafted to produce artificial outrage, clicks and revenue. Another conspiracy question was: "52. Conspiracy Theories – Leaked email from some of Hillary Clinton’s campaign staffers contained code words for pedophilia, human trafficking and satanic ritual abuse - what some people refer to as ’Pizzagate’." Most of the Pizzagate Republicans (40%) said "probably true" rather than "definitely true" (9%) and again had no way to say "I do not know". Most American likely should have answered "I do not know" because they do not follow the conspiracy media that closely. Such pedophilia conspiracies naturally exist, but in case of Pizzagate there is no evidence for it. "Definitely no evidence" would be the right answer, but that could again not be answered. The question is also badly phrased. The hacked emails did contained the word "pizza", which is claimed to be a code word used by pedophiles. Thus if you take the question too literally you could even answer that the question is true. These answers are sad, but no way as bad as the headline "Nearly Half Of Trump Voters Believe Hillary Is Pimping Kids" suggests. The poll is the saddest part of this story. 1. If you see a poll, check the exact formulation of the question and the answers, especially when it is not a standard question that is regularly asked and the poll is thus more likely intended to generate clicks. 2. Even reputable sources, like The Economist and Secular Talk, can be wrong. 3. large parts of the media make money manufacturing outrage. To reduce this do your due diligence before you spread an emotional story. If that means spreading less stories: fine. News is no longer scarce, quality is. This polls was a way to produce clicks and divide an already divided country even more. The BBC will continue fake debates on climate science on false balance ("due weight") and fake public debates. Believe me, the GOP needs to open itself to rational debate. Can Trump fiddle with climate observations? Some people worry about the Trump administration fiddling with climate data to get politically correct trends. There is a lot to worry about. This is not one of them. A Trump stooge could not fiddle with the raw data because there are many organisations that also have a copy. 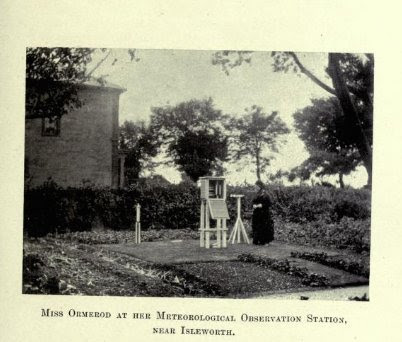 Old data can be found in the annual reports of the weather services. New data in their databases and in many archives that collect the observations that weather services share with each other, the so-called CLIMAT messages every month (for climate purposes) and GTS messages every day (for meteorology). Nick Stokes checked how station data moves from the Australian Bureau of Meteorology (BOM) to NOAA's Global Historical Climate Network (GHCN). Spoiler: it fits. The marine observations by voluntary observing vessels are less open to the public due to piracy concerns, but this is just a small part of the marine data nowadays and regional data managers can check whether everything fits (Freeman et al., 2016). Because climate data needs to be consistent, a lot of data would need to be changed. If only a few stations were changed these would be different from their neighbours and as such identified as faulty. Thus to find any fiddling of the raw data only a small number of stations needs to be sampled. The raw data is processed to estimate the global (and regional) climatic changes from it. The temperature change in the raw data and the actual estimate of the temperature increase is shown in the graph below. The actual temperature increase was smaller than the one of the raw data. The main reason is that old sea surface temperature measurements were made with buckets and the water in the bucket would cool a little due to evaporation before reading the thermometer. Theoretically a Trump stooge could mess with this data processing. However, the software is open. Thus everyone can check whether the code produces the claimed results when applied to the raw data. The changes would thus have to be made in the open and justified. The Trump stooge could naturally openly make changes to the code and claim that this "improves" the data processing. Whether the new software is actually an improvement is, however, something we can check. For the land station data we have a validation dataset where we know the climate signal we put in and the measurement artefacts we put in and can thus see how well the software removes the artefacts. The current homogenization software of NOAA removes these measurement artefacts well. If the software is fiddled with for political reasons, it will perform worse. If that happens I am sure someone will be willing to apply the better original code to the raw data and publish these results. That only requires modest software skills. Apart from such audits larger changes would also be obvious because data needs to be consistent with each other. Land surface temperature, sea surface temperature and upper air temperature, for example, need to fit together. Marine temperatures from ships, drifting buoys, moored coastal buoys and [[ARGO]] need to fit together. Pressure will need to fit to wind, the circulation to precipitation, precipitation to snow cover, snow cover to reflectance, reflectance to incoming radiation and absorption. The changes in the physical climate would need to fit to the changes observed by biologists and bird spotters in nature, to changes noticed by agricultural scientists, economists and farmers in yields, to changes seen by glaciologists in glaciers and ice caps, to changes measured by hydrologists in stream flows. It is easier to go to the moon than to fake the moon landing in Hollywood. It is easier to fake the moon landing than to make significant changes to climate data without being caught. Thus with some vigilance the data we have will be okay. What is worrying is the possible destruction of datasets and the discontinuing of measurements. Trump's election has shown that catastrophes with less than 50% chance do happen. Climate data is part of our cultural and scientific heritage and important to protect communities. Thus we should not take any risks with them. Destroying data would put American communities in more danger, but the Trump administration may not care. For instance, Florida’s Republican government banned state employees from discussing global warming. That hinders adaptation to climate change. Republican North Carolina legislators voted to ignore sea-level rise projections, putting citizens at a higher risk of drowning, endangering infrastructure and leading to higher adaptation costs later on. Several Republican politicians have wasted taxpayer money to harass climate scientists in return for campaign contributions. Dumpster in Quebec with hundreds of carelessly discarded historic books and documents. 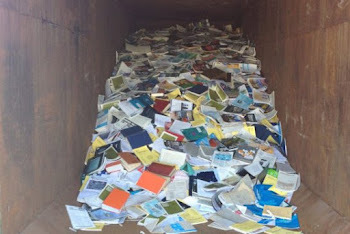 The conservative Harper government in Canada committed libricide and destroyed seven environmental libraries and threw the books on the trash heap. Also what has not happened before can happen. The radicalised Congress has shown disregard of the American public by shutting down the government. In the election campaign Trump called for violence to quell protest and to lock up his opponent. An alt-nazi will be advisor in the White House. Never before have so many banks and oil companies had a seat at the tables of power. This is the first time that a foreign power was forced to move a celebration to the hotel of the president-elect. Presidents normally do not have hotels in Washington DC that all diplomats will use to gain favours. Trump will be the first president with a 300 million dollar loan from a foreign bank he is supposed to regulate. This list could be longer than this post. Do not be fooled that this is normal. If a Trump stooge would order the deletion of a dataset also the backups would be deleted. Thus it is good that independent initiatives have sprung up to preserve digital archives. I hope and trust that all American scientists will make sure that there are copies of their data and code on private disks and in foreign countries. Unfortunately not all data is digitised or digitisable, many documents still need to be scanned, proxy sources such as (ice) cores and tree rings contain information that has not been measured yet or needs future technologies to measure. Some of these ice cores come from glaciers that no longer exist. Observations could be stopped. Even if they would be continued again after four years, the gap would limit our ability to see changes and thus to adapt to climate change and limit the damages. Looking at the proposed members of the Trump cabinet, I fear that such damages and costs for American citizens will not stop them. I hope that the blue states and Europe will be willing to pick up the tab until decency is restored and is prepared to move fast when needed. At a scientific conference in San Francisco Jerry Brown, Governor of California, promised earlier this month that "if Trump turns off the earth monitoring satellites California will launch its own damn satellites." A hopeful sign in the face of Washington fundamentalism. Scott Adams, the creator of Dilbert, wrote today about how difficult it is for a non-expert to judge science and especially climate science. He argues that it is normally a good idea for a non-expert to follow the majority of scientists. I agree. Even as a scientist I do this for topics where I am not an expert and do not have the time to go into detail. You cannot live without placing trust and you should place your trust wisely. While it is clear to Scott Adams that a majority of scientists agree on the basics of climate change, he worries that they still could all be wrong. He lists the below six signals that this could be the case and sees them in climate science. If you get your framing from the mitigation sceptical movement and only read the replies to their nonsense you may easily get his impression. So I thought it would be good to reply. It would be better to first understand the scientific basis, before venturing into the wild. 1. A theory has been “adjusted” in the past to maintain the conclusion even though the data has changed. For example, “Global warming” evolved to “climate change” because the models didn’t show universal warming. This is a meme spread by the mitigation sceptics that is not based on reality. From the beginning both terms were used. One hint is name of the Intergovernmental Panel on Climate Change, a global group of scientists who synthesise the state of climate research and was created in 1988. The irony of this strange meme is that it were the PR gurus of the US Republicans who told their politicians to use the term "climate change" rather than "global warming", because "global warming" was more scary. The video below shows the historical use of both terms. Global warming was called global warming because the global average temperature is increasing, especially in the beginning there were still many regions were warming was not yet observed, while it was clear that the global average temperature was increasing. I use the term "global warming" if I want to emphasis the temperature change and the term "climate change" when I want to include all the other changes in the water cycle and circulation. These colleagues do the same and provide more history. Talking about "adjusted", mitigation sceptics like to claim that temperature observations have been adjusted to show more warming. Truth is that the adjustments reduce global warming. Scott Adams assertion: 2. Prediction models are complicated. When things are complicated you have more room for error. Climate science models are complicated. Yes, climate models are complicated. They synthesise a large part of our understanding of the climate system and thus play a large role in the synthesis of the IPCC. They are also the weakest part of climate science and thus a focus of the propaganda of the mitigation sceptical movement. However, when it comes to the basics, climate model are not important. We know about the greenhouse effect for well over a century, long before we had any numerical climate models. That increasing the carbon dioxide concentration of the atmosphere leads to warming is clear, that this warming is amplified because warm air can contain more water, which is also a greenhouse gas, is also clear without any complicated climate model. This is very simple physics already used by Svante Arrhenius in the 19th century. The warming effect of carbon dioxide can also be observed in the deep past. There are many reasons why the climate changes, but without carbon dioxide we can, for example, not understand the temperature swings of the past ice ages or why the Earth was able to escape from being completely frozen (Snowball Earth) at a time the sun was much dimmer. The main role of climate models is trying to find reasons why the climate may respond differently this time than in the past or whether there are mechanisms beyond the simply physics that are important. The average climate sensitivity from climate models is about the same as for all the other lines of evidence. Furthermore, climate models add regional detail, especially when in comes to precipitation, evaporation and storms. These are helpful to better plan adaptation and estimate the impacts and costs, but are not central for the main claim that there is a problem. Scott Adams assertion: 3. The models require human judgement to decide how variables should be treated. This allows humans to “tune” the output to a desired end. This is the case with climate science models. Yes, models are tuned. Mostly not for the climatic changes, but to get the state of the atmosphere right, the global maps of clouds and precipitation, for example. In the light of my answer to point 2, this is not important for the question whether climate change is real. Scott Adams assertion: 4. There is a severe social or economic penalty for having the “wrong” opinion in the field. As I already said, I agree with the consensus of climate scientists because saying otherwise in public would be social and career suicide for me even as a cartoonist. Imagine how much worse the pressure would be if science was my career. It is clearly not career suicide for a cartoonist. If you claim that you only accept the evidence because of social pressure, you are saying you do not really accept the evidence. Scott Adams sounds as if he would like scientists to first freely pick a position and then only to look for evidence. In science it should go the other way around. This seems to be the main argument and shows that Scott Adams knows more about office workers than about the scientific community. If science was your career and you would peddle the typical nonsense that comes from the mitigation sceptical movement that would indeed be bad for your career. In science you have to back up your claims with evidence. Cherry picking and making rookie errors to get the result you would like to get are not helpful. However, if you present credible evidence that something is different, that is wonderful, that is why you become a scientist. I have been very critical of the quality of climate data and our methods to remove data problems. Contrary to Adams' expectation this has helped my career. Thus I cannot complain how climatology treats real skeptics. On the contrary, a lot of people supported me. I was highly critical of IPCC AR4 Chapter 6, so much so that the [mitigation skeptical] Heartland Institute repeatedly quotes me as evidence that the IPCC is flawed. Indeed, I have been unable to find any other review as critical as mine. I know "because they told me" that my reviews annoyed many of my colleagues, including some of my [RealClimate] colleagues, but I have felt no pressure or backlash whatsoever from it. Indeed, one of the Chapter 6 lead authors said “Eric, your criticism was really harsh, but helpful "thank you!" Look, I'm a scientist. I know scientists. I know scientists at NOAA, NCAR, NIST, the Labs, in academia, in industry, at biotechs, at agri-science companies, at space exploration companies, and at oil and gas companies. I know conservative scientists, liberal scientists, agnostic scientists, religious scientists, and hedonistic scientists. You know what motivates scientists? Science. And to a lesser extent, their ego. If someone doesn't love science, there's no way they can cut it as a scientist. There are no political or monetary rewards available to scientists in the same way they're available to lawyers and lobbyists. Scott Adams assertion: 5. There are so many variables that can be measured – and so many that can be ignored – that you can produce any result you want by choosing what to measure and what to ignore. Our measurement sensors do not cover all locations on earth, from the upper atmosphere to the bottom of the ocean, so we have the option to use the measurements that fit our predictions while discounting the rest. No, a scientist cannot produce any result they "want" and an average scientist would want to do good science and not get a certain result. The scientific mainstream is based on all the evidence we have. The mitigation sceptical movement behaves in the way Scott Adams expects and likes to cherry pick and mistreat data to get the results they want. Scott Adams assertion: 6. The argument from the other side looks disturbingly credible. I do not know which arguments Adams is talking about, but the typical nonsense on WUWT, Breitbart, Daily Mail & Co. is made to look credible on the surface. But put on your thinking cap and it crumbles. At least check the sources. That reveals most of the problems very quickly. For a scientist it is generally clear which arguments are valid, but it is indeed a real problem that to the public even the most utter nonsense may look "disturbingly credible". To help the public assess the credibility of claims and sources several groups are active. Most of the zombie myths are debunked on RealClimate or Skeptical Science. If it is a recent WUWT post and you do not mind some snark you can often find a rebuttal the next day on HotWhopper. Media articles are regularly reviewed by Climate Feedback, a group of climate scientists, including me. They can only review a small portion of the articles, but it should be enough to determine which of the "sides" is "credible". If you claim you are sceptical, do use these resources and look at all sides of the argument and put in a little work to go in depth. If you do not do your due diligence to decide where to place your trust, you will get conned. While political nonsense can be made to look credible, the truth is often complicated and sometimes difficult to convey. There is a big difference between qualified critique and uninformed nonsense. Valuing the strength of the evidence is part of the scientific culture. 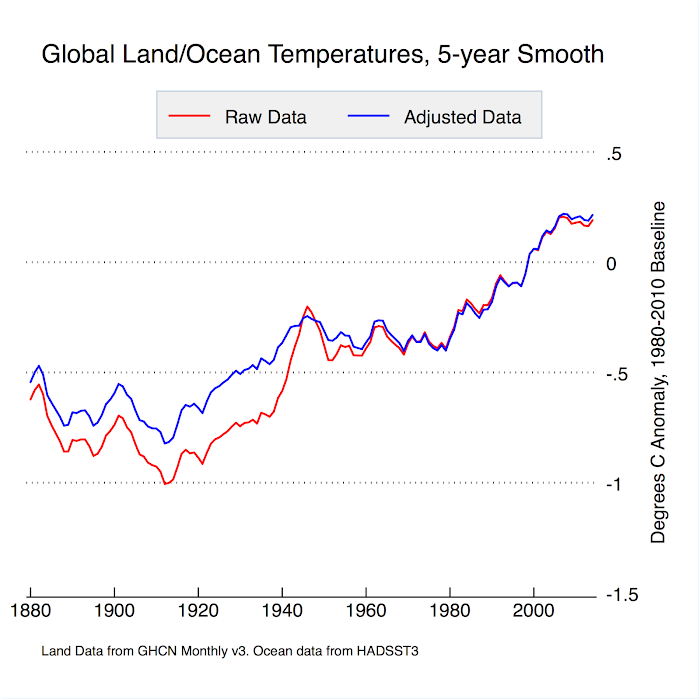 My critique of the quality of climate data has credible evidence behind it. 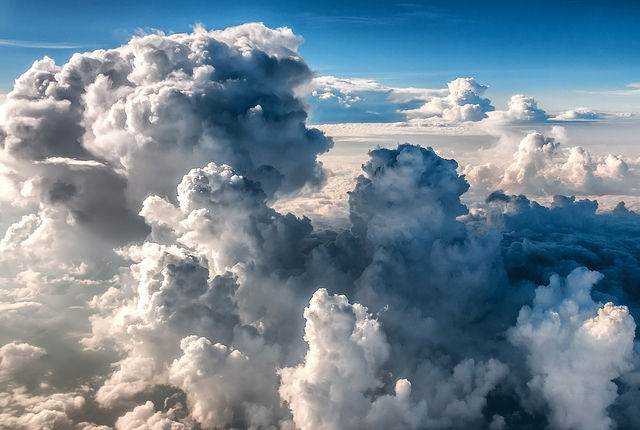 There are also real scientific problems in understanding changes of clouds, as well as the land and vegetation. These are important for how much the Earth will respond, although in the long run the largest source of uncertainty is how much we will do to stop the problem. 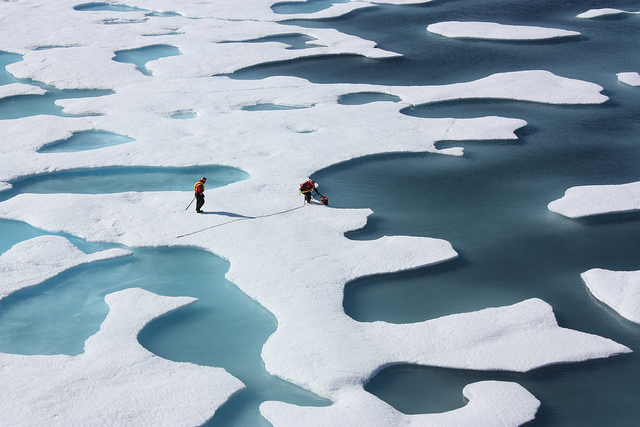 There are real scientific problems when it comes to assessing the impacts of climate change. That often requires local or regional information, which is a lot more difficult than the global average. Many impacts will come from changes in severe weather, which are by definition rare and thus hard to study. For many impacts we need to know several changes at the same time. For droughts precipitation, temperature, humidity of the air and of the soil and insolation are all important. Getting them all right is hard. How humans and societies will respond to the challenges posed by climate change is an even more difficult problem and beyond the realm of natural science. Not only the benefits, but also the costs of reducing greenhouse gas emissions are hard to predict. That would require predicting future technological, economic and social development. When it comes to how big climate change itself and its impacts will be I am sure we will see surprises. What I do not understand is why some are arguing that this uncertainty is a reason to wait and see. The surprises will not only be nice, they will also be bad and all over increase the risks of climate change and make the case for solving this solvable problem stronger. Older post by a Dutch colleague on Adams' main problem: Who to believe? * Photo Arctic Sea Ice by NASA Goddard Space Flight Center used under a Creative Commons Attribution 2.0 Generic (CC BY 2.0) license. * Cloud photo by Bill Dickinson used under a Creative Commons Attribution-NonCommercial-NoDerivs 2.0 Generic (CC BY-NC-ND 2.0) license.